The west of Costa Rica not only has a breathtaking coastline lapped by the great Pacific, but it has a varied inland area too. 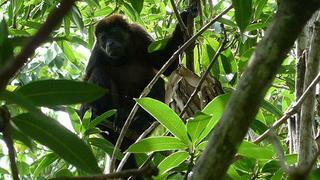 The landscape ranges from deep valleys to miles upon miles of jungle fauna and flora. It is the perfect place to leave the superyacht in the capable hands of the crew while you head out to explore. Chose from flying through treetops while zip lining or for a more sedate activity, the views from the golf course are outstanding. Here are a few suggestions courtesy of our resident expert Francesca Poddie, Marketing Manager, Peninsula Papagayo. Golf Digest has ranked this 18-hole, par 72-championship course, designed by Arnold Palmer in the Top 100 courses outside the United States. The 125 acres of fairway and greens offers both the experienced and novice player a challenging game. Winding its way through varied landscapes ranging from forests, to sea cliffs to valleys and vast plains, even if golf isnt your number one priority, the panoramas offered make for a great snap. Officially the course was designed to challenge yet not overwhelm however the natural beauty of the course surroundings seem to consistently try to break concentration  look out for the family of white monkeys that have made the course their playground. Clubs and shoes are available for hire too so no need to cart your clubs around with you. 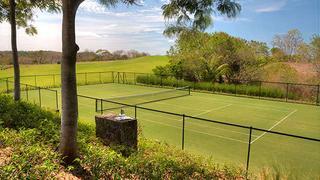 If you are keen on a game of tennis then the courts at the Four Seasons offers the enthusiast a range of options from clay-like Har-Tru surface as well as the more traditional grassy court. Again, you can hire equipment, sign-up for lessons or even player match-ups. 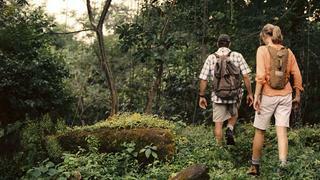 No trip to Costa Rica is complete without exploring the jungle. 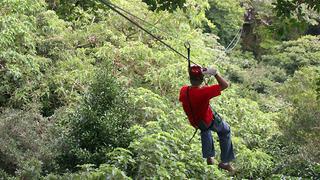 And, what better way to do this than harnessed to a cable while flying through the treetops. While suspended around 2,486 metres above the jungle floor, the zip wire offers spectacular views out over the jungle and beyond to the Gulf of Papagayo. A real treat is all the residents you meet on the way including tree frogs, vine snakes, sloths, howler monkeys and a diverse range of bird life too. The Guanacaste province in west Costa Rica is famous for its volcanoes; Rincon de la Vieja especially is located in Rincon de la Vieja National Park. Here, you can hike the foothills, chose from many trails. This range of volcanoes are considered the most active in Costa Rica and here you will be able to see the guysers exploding into the air, sometimes reaching as high as 820ft ( 250metres). This activity has become increasingly popular over the past few years. 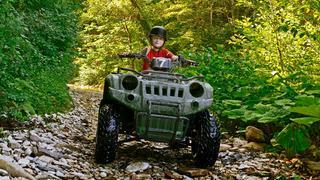 Its a great option to explore the natural settings in a less conventional way. If you are looking for original tours, this is it. There are several areas where networks of trails have been professionally designed for the sport. These marked trails allow users to select levels of difficulty, so that both the beginner and the more avid cyclist have ample space to practice this exciting sport. Ride through various landscapes including fantastic ocean views, plains, dwarf forests, bridges, rocks, rivers and pastures. There are sections deep in the shade of quiet valleys too. ATV tours are a most , my recommendation would be choosing one were you explore the mountain area, youll enjoy the altitudes of the mountains surrounded by panoramic views These adrenaline tours allow you to explore the jungle, discovering the best routes in Guanacaste, through beautiful mountains, rivers and coastal areas.